This is a Trekking route around the "Exombourgo" Mountain, where are the ruins of an old castle. 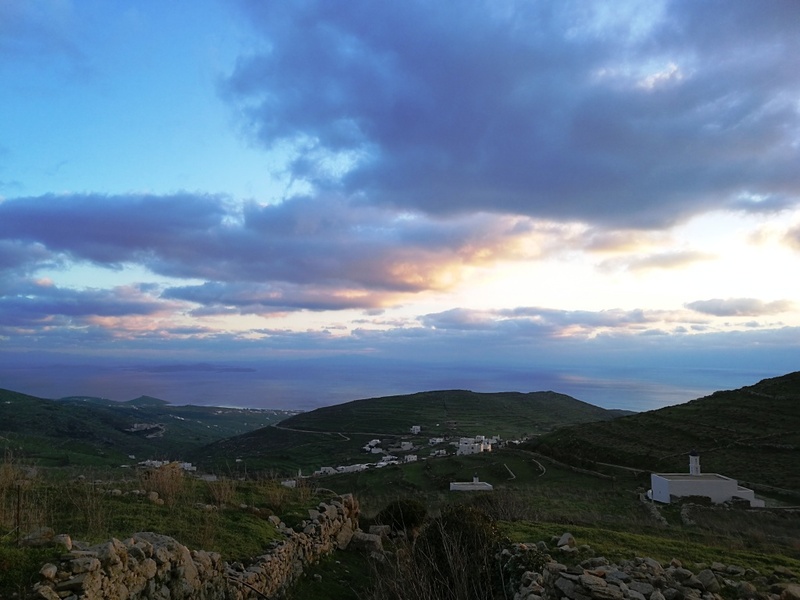 You will visit five villages of Tinos, "Koumaros", "Skalados", "Krokos", "Loutra" and "Xinara"
The route starts from Exombourgo, a rock with natural fortified location, was chosen by the Venetians to build their castle. 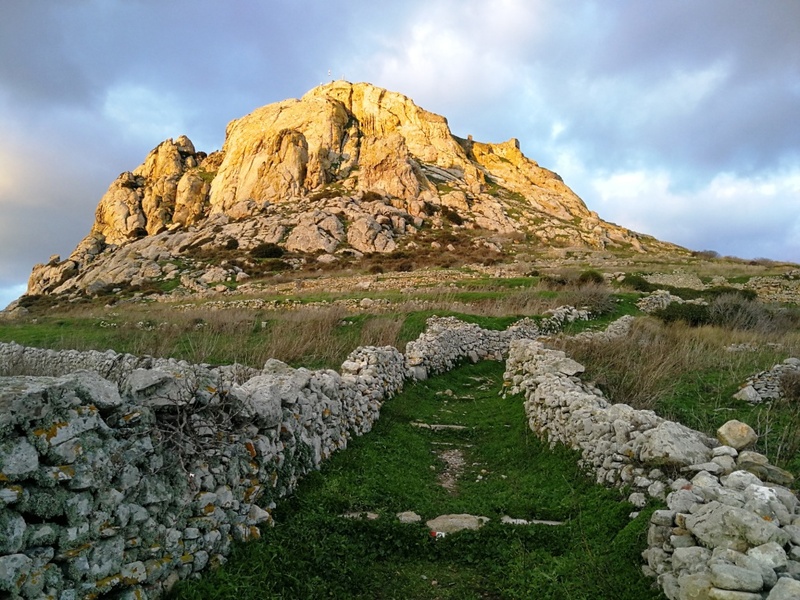 Then we will head to picturesque “Koumaros” Village, a small medieval settlement that is perched on the granite rocks in its north-western roots of Exombourgo, over one a wonderful ravine and has great views of the island's northern coast. 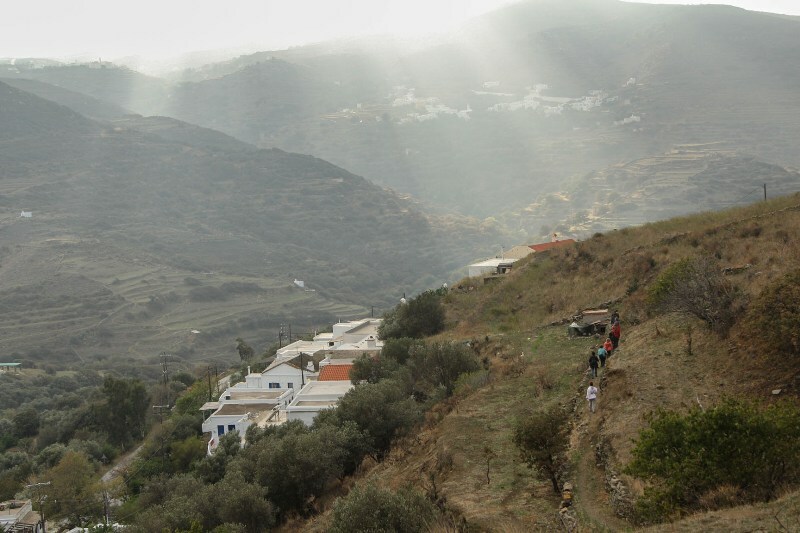 From Koumaros we will continue to the traditional “Skalados” and from there to “Loutra”, through “Krokos”, a village literally in green and in flowers. Besides, his name is due in the plethora of saffron plants thriving in the area (“Krokos” in Greek means saffron). On “Loutra” can admire Venetian buildings, churches and marble springs, the imposing building of the former School and Monastery of Ursulines and the Monastery of the Fathers Jesuit. 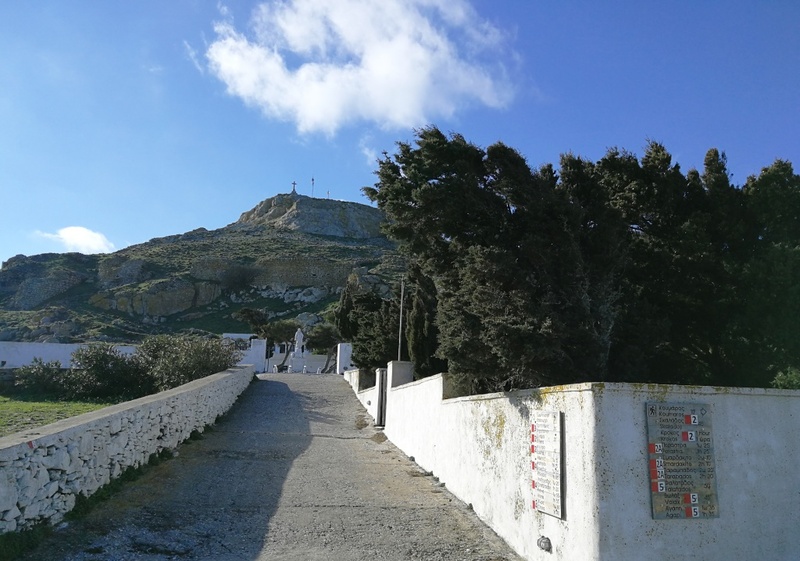 A well - built and wide path will take us from “Loutra” to “Xinara”, headquarters of the Catholic Archdiocese of Naxos-Tinos and its former capital municipality of Exombourgo. 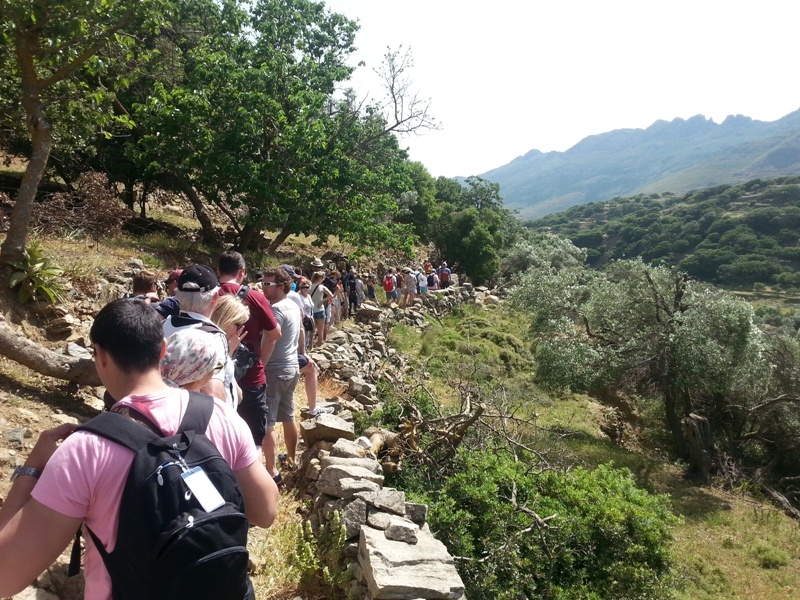 From there the route will climb to Exombourgo, where we can admire along the archaeological finds of the 5th century BC. · Participants must be +15 years old and in good shape. · Participants must wear comfortable clothing, Sports closed footwear, a hat and a sun cream. - Do not forget your bottle of water and a power healthy snack. 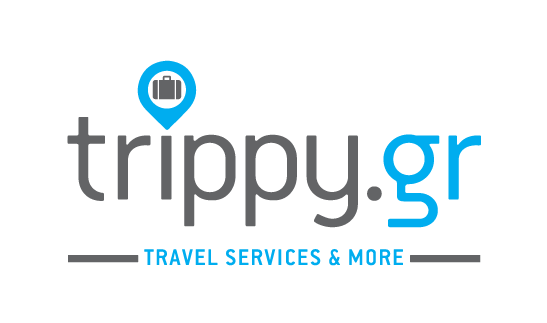 · The schedule may be modified due to special conditions.